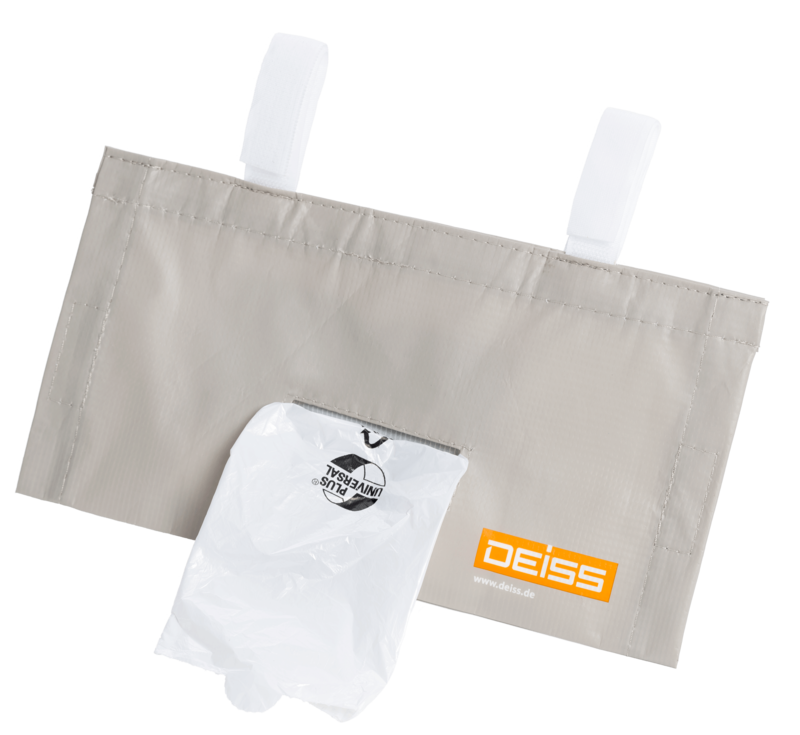 Bag dispensers from Deiss now enable an even easier exchange of bags. The garbage bags are intuitively locatable on the cleaning trolley and can be detached with one hand. Made from wipeable PET material, the small pouch can be hung onto the handle or any other cross bar of the cleaning trolley. Thanks to their Velcro fasteners, the pouch handles are individually adjustable. Side openings simplify refilling of the bag dispenser; and several pouches can also be hung in a row, one below the other. No more misplacing and searching – the garbage bags now have their fixed position.